Get behind the wheel of the powerful, luxury sedan you’ve been waiting for. The Jaguar XJ provides Crofton drivers with just that: power and luxury. Learn more about the innovative technology, convenient features, and luxury materials the XJ comes equipped with and decide on the right Jaguar for you. And when you lease a Jaguar, you’ll benefit from lower monthly payments and more. Contact our finance department to get the process started today! Stay comfortable and connected in the XJ. You can also add on packages such as the Premium Rear Seat Package that includes dual 10.2-inch screens on the back of the front headrests for video streaming via the Rear Media Interface. 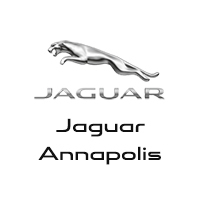 Why Lease From Jaguar Annapolis? Compare leasing and buying options to see which is the best financial decision for you then get in contact with us at Jaguar Annapolis to get the process started today and drive your Jaguar home to Edgewater.